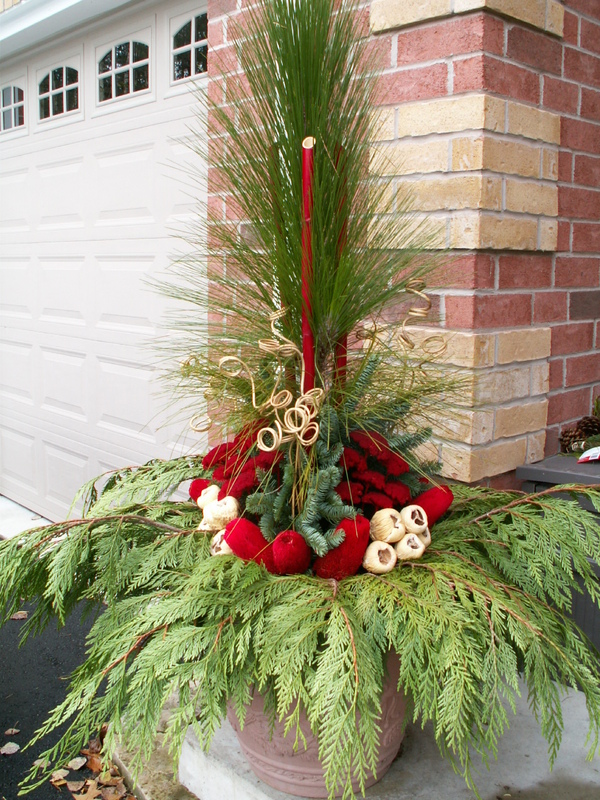 Today is the Uxbridge Christmas Home Tour. A number of local people and businesses decorate homes for Christmas and passports are sold to raise money for local charities. This year’s recipient is Jennifer Ashleigh Children’s Charity, which works to improve the quality of life for seriously ill children and their families. 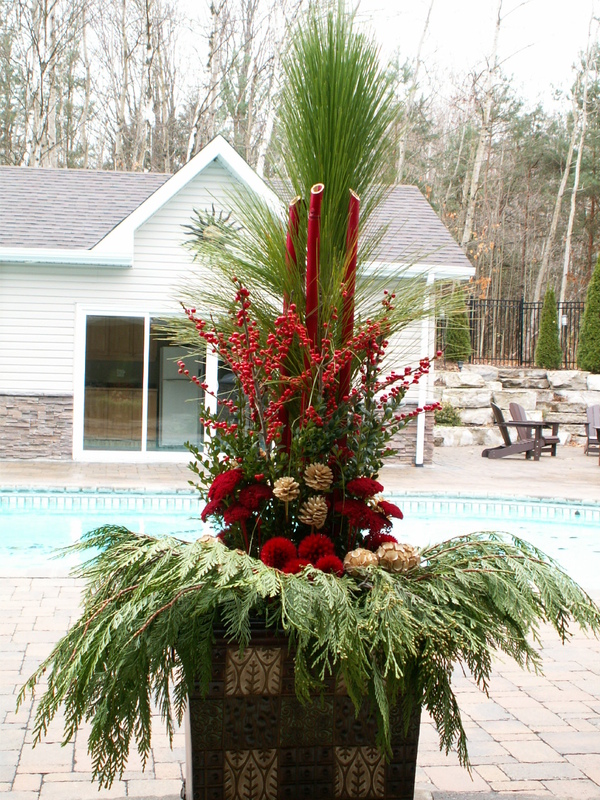 These are the arrangements I made for one of the homes. 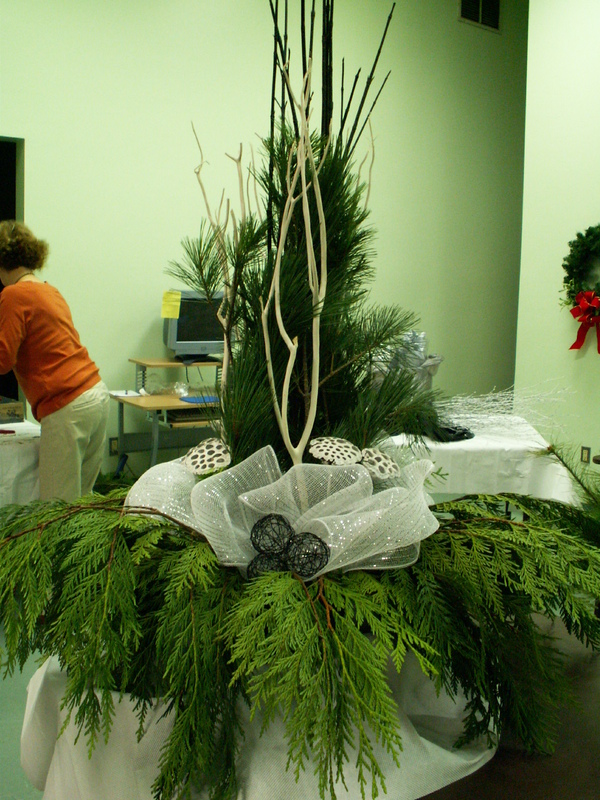 I also did a demonstration last week for the IODE’s Mistletoe Magic fundraiser. 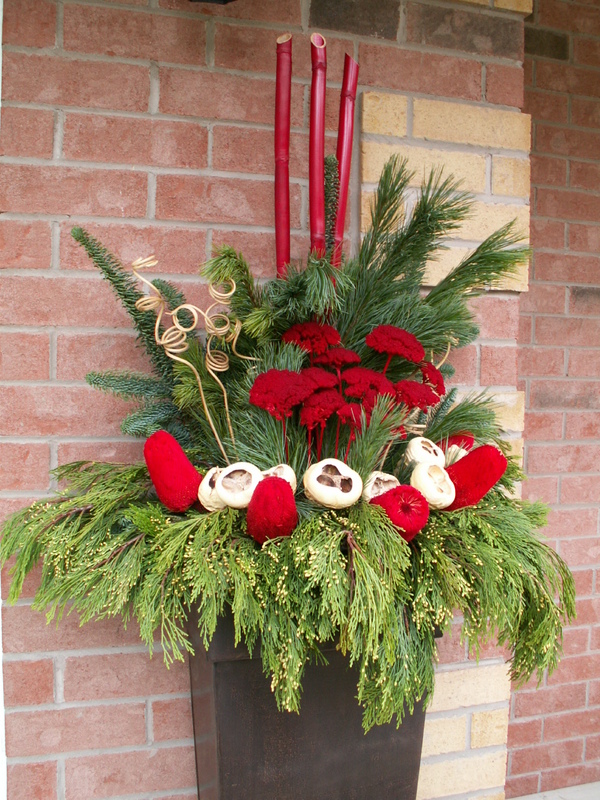 This black and white arrangement was raffled off at the end of the evening.